'♔ Cominica Blog ♔: Baby Queen Lower Lashes Review - Luminous Change look alike! Baby Queen Lower Lashes Review - Luminous Change look alike! 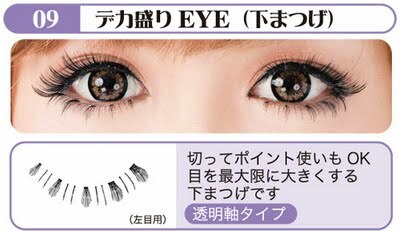 Now, I'm going to share one of lower lashes I got from kkcenterhk. When the first time I saw the design, I thought it look like one of Luminous change false lashes! That time I was looking for lower false lashes so I remembered it. It look like Luminous Change! by Rumi no #9, Huge Eye. Oh well, it's not 100% look a like (¬､¬) , because this one is look thinner than the one I got from kkcenterhk. Closer look. How can you not fall in love with this lower lashes? 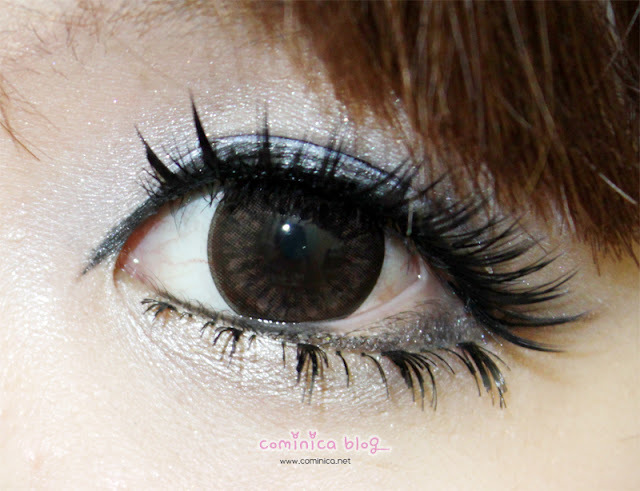 I use Chan Wei false lashes from kkcenterhk for the upper lashes. Check out the review HERE. Love it??? Btw, I use Lioele eyeshadow on my previous post and Canmake. ✩ Can be use for maany times! Whoa!! these lower lashes look absolutely gorgeous!! Must definitely buy to try them ^^ thank you!! They look really cute ♥ I hope they're restocking soon!! Oh, and I love the new blog header? Did you design it yourself? Ohh I never heard of this brand! They look so pretty on! i just following now becoz your blog is really ute i hope follow me back!